The papers for the special section of Critical Studies on Security addressing ‘Visual representations of war and violence’ and focusing on embodiment, expertly edited by Linda Roland Danil, are now online. As I near the end – at last! 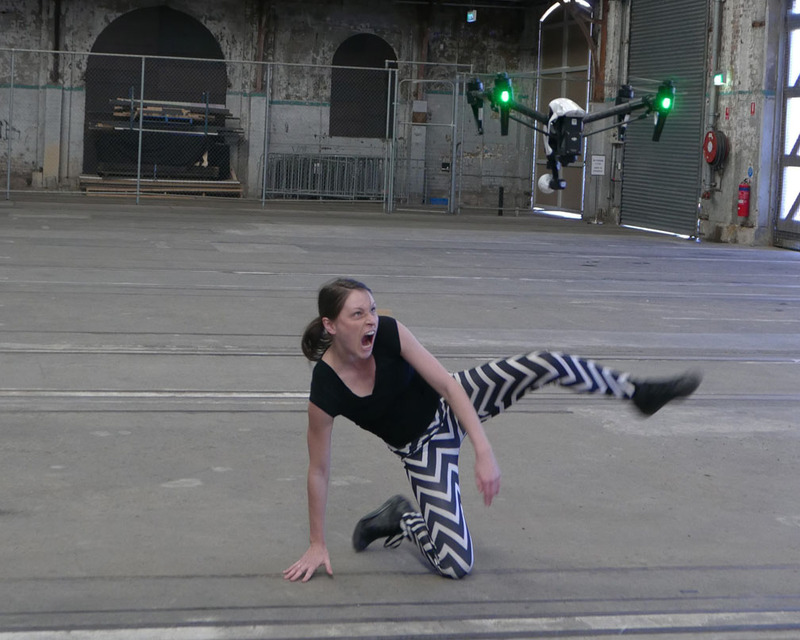 – of my essay on drone strikes in Pakistan, “Dirty Dancing“, I’ve stumbled – the mot juste, given how long it’s taken me to finish the thing – on two very different performance works, both called ‘Dancing with Drones‘. Of drone warfare, Grégoire Chamayou has written the world is a ‘hunting ground.’ ‘The target is unable to retaliate, no quarter can be given in last-minute surrender, and only one side risks being killed’. Chamayou is writing of the extreme circumstance of war, but in many respects, Plevey in her dance-off with the drone, is hunted, a contemporary Acteon, who in Greek myth was hunted by a pack of dogs intent on tearing him to pieces. Plevey comes across as the innocent, occupying a subject position that could be occupied by anyone. While there is a charm to the mimetic sequences and to the innocence of the initial scenes of ‘playing chasey’ with the drone, the dance-game is also akin to those more vicious games of children that quickly turn. Filmed in big nature, down by a river in the wilds of Bundanon estate [in New South Wales], the dancer-drone partnership is intriguing, somewhat bizarre, an unlikely dance duo, initially suggesting disturbed bucolic innocence. Two regimes of movement seemingly accommodate each other: the curious drone, the responsive human. There’s a mixture of charm and mild annoyance; the drone hobby toy friendly in size, rising and falling in sequences akin to the flapping of a butterfly’s wings, no more a menace than the buzzing of a gnat or a bee. 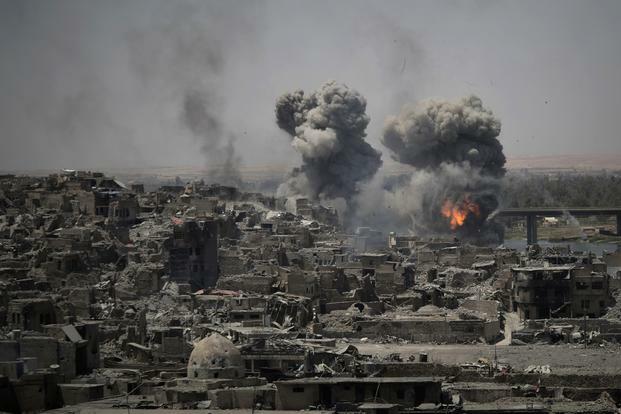 Chamayou doesn’t shirk from calling out the ‘inhuman operation [of] a mobile battlefield that potentially spans the globe’, of the potential for drones to target anyone, anywhere, from any satellite mapped point of the world. Furthermore, drones have a capacity for actions at a distance, the like of which the world hasn’t seen before: the ability to group, hover, pursue. If computer were touted in the 1990s as multipurpose machines incorporating calculators, typewriters, cameras, CD players, graphic interfaces, radio, and so on, drones combine a camera with several movement modes: the up and down of helicopters, with the horizontal lines of flight of arrows, missiles and aeroplanes. The darker notes of Plevey and Cmielewski-Starrs’ collaboration drive these points home, especially when the performance arena is invaded by the live presence of a drone. Plevey is no longer alone on stage dancing with and against the cinematic image of herself and the drone. Her drone combatant has now physically entered the space. This radically recalibrates the experience of the audience, who no doubt subliminally reason that relative safety precautions have been taken. After all, viewing big, dangerous nature from a point of safety has always been key to enjoyment of the sublime. Though the appearance of the drone will most likely trigger a rapidly suppressed involuntary adrenalin reaction—the fight or flight response—this suppression, as in the experience of the sublime, is part of the work’s physical thrill. Whilst certainly the onstage drone is not of war machine scale, not loaded with weaponry, nor combat ready, any audience member would still be very much aware of its capacity to harry, and select quarry other than the dancer onstage. The gendered aspect of the performance, with an unarmed female quarry, draws further allusions to inadvertent attacks on civilians in combat zones. You won’t be surprised to learn that ‘Dirty Dancing” is closer in spirit to the first performance. But both projects provide considerable food for thought about the incorporation of performance as a vital moment in analytical research, no? (For my own, beginning attempts at a performance-work see here; this is drama, but I’ll be working with Wall Scholar Peter Klein on a musical collaboration around parallel themes, and now I’m starting to think about video and dance too… But not until ‘Dirty Dancing’ is done!). The more I think about corpography (see also ‘Corpographies under the DOWNLOADS tab) – especially as part of my project on casualty evacuation from war zones – the more I wonder about Grégoire Chamayou‘s otherwise artful claim that with the advent of armed drones the ‘body becomes the battlefield’. He means something very particular by this, of course, as I’ve explained before (see also here). But let me describe the journey I’ve been taking in the last week or so that has prompted this post. Later this month I’m speaking on ‘Wounds of war, 1914-2014‘, where I plan to sketch a series of comparisons between casualty evacuation on the Western Front (1914-18) and casualty evacuation from Afghanistan. I’ve already put in a lot of work on the first of these, which will appear on these pages in the weeks and months ahead, but it was time to find out more about the second. En route I belatedly discovered the truly brilliant work of David Cotterrell who is, among many other things, an installation artist and Professor of Fine Art at Sheffield Hallam University. 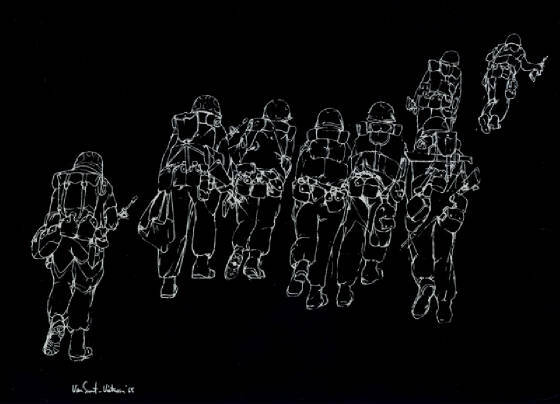 He became interested in documenting the British military casualty evacuation chain from Afghanistan, and in 2007 secured access to the Joint Medical Forces’ operations at Camp Bastion in Helmand. He underwent basic training, a course in even more basic battlefield first-aid, and then found himself on an RAF transport plane to Bastion. The Role 3 Hospital was, as he notes, a staging-ground. ‘Field hospitals are islands between contrasting environments,’ he wrote in his diary, ‘between the danger and dirt of the Forward Operating Bases and the order and convention of civilian healthcare.’ You can read a long, illustrated extract from the diary (3 – 26 November 2007) here, follow the photo-essay as a slideshow here, and explore David’s many other projects on his own website here. The diary is immensely interesting and informative in its own right, not least about the exceptional personal and professional difficulties involved in documenting the evacuation process. 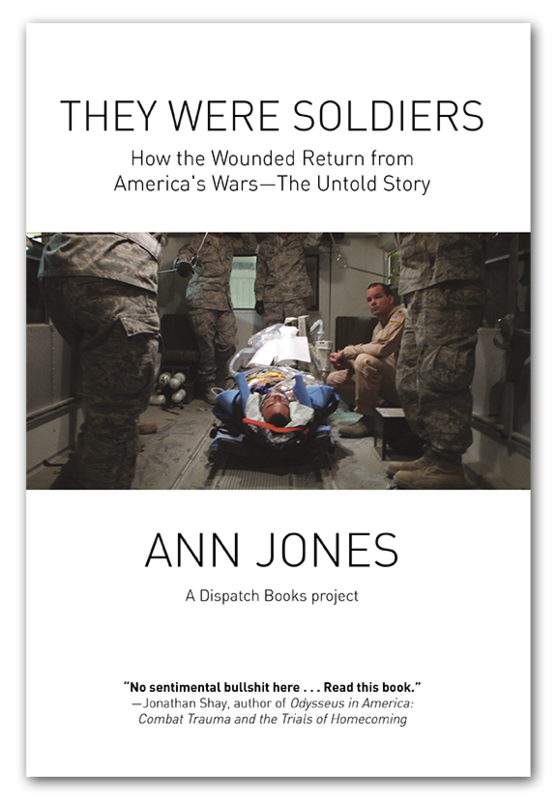 Here there’s a helpful comparison to be made with journalist Ann Jones‘s no less brilliant They were soldiers: how the wounded return from America’s wars (more on this in a later post), which starts at the US military’s own Level III Trauma Center, the Craig Joint Theater Hospital at Bagram, and moves via Landstuhl Regional Medical Center in Germany, the largest US hospital outside the United States, to the Walter Reed Army Medical Center in Washington DC. 9-Liner explores the dislocation between the parallel experiences of casualties within theatre. It is a quiet study of a dramatic event: the attempt to bring an injured soldier to the tented entrance of the desert field hospital. The screens show apparently unrelated information. JCHAT – a silent scrolling codified message – runs on a central screen. Our interpretation of it is enabled through its relationship between one of two radically different but equally accurate views of the same event. 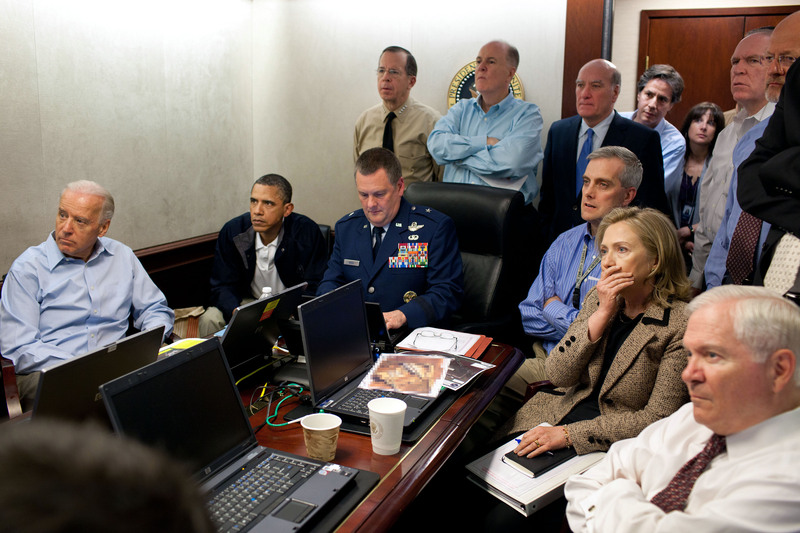 To the left we see the Watchkeeper – a soldier manning phones and reading computer screens in a crowded office. On the right we view the MERT flight – the journey of the Medical Emergency Response Team in a Chinook helicopter. The research made clear that soldiers recovering from life-changing injuries had limited means of reconstructing the narrative of their transformative experiences. 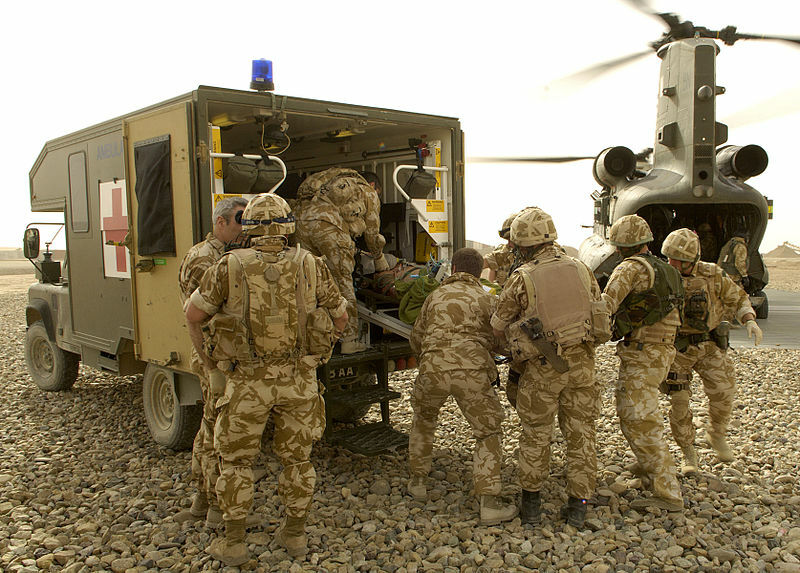 From the time of wounding through to secondary operations in the UK, many soldiers remained sedated or unconscious for a period of up to five days. The radical physical transformation that had occurred during this period was not adequately reconciled through medical notes, and the embargo on photographic documentation of incident and subsequent medical procedures served further to obscure this period of lost memory. A culture of secrecy meant that medical professionals were unable to access documentation of the expanded care pathway with which they, and their colleagues, were engaged. 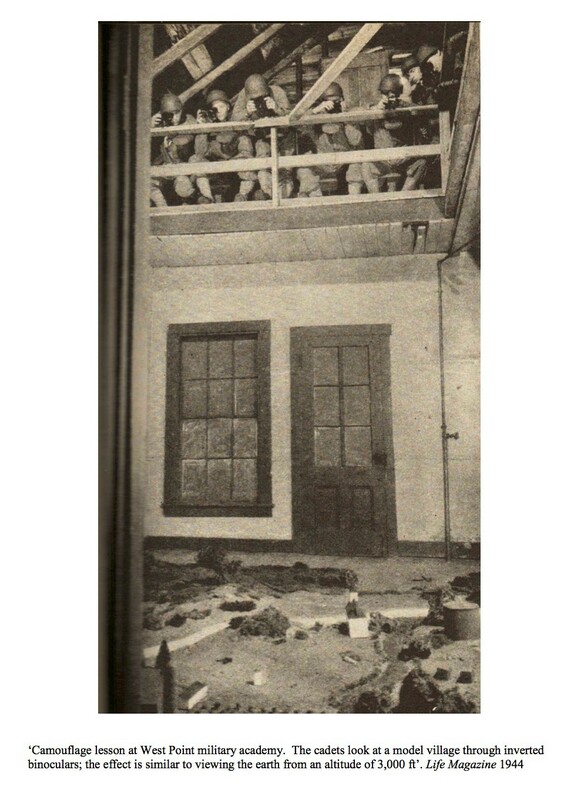 This fragmentation of experience and understanding within the process of evacuation, treatment and rehabilitation meant that the assessment of the contradictions and disorientation experienced by casualties and medical practitioners was denied to front-line staff. Family members, colleagues and members of the public outside the immediate environment of the military were unable to visualise or understand the transformative effects of conflict on directly affected civilians and soldiers. 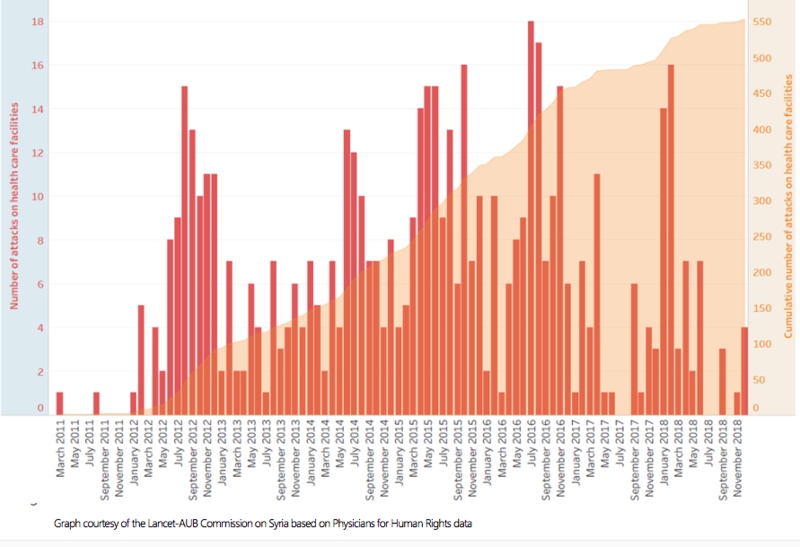 Partly as a result, the scope for public debate to engage meaningfully with the longer term societal cost of contemporary conflict was limited. The submission goes on to list an impressive series of debriefings, presentations to military and medical professionals, major exhibitions, and follow-through research in Birmingham. And it’s one of those follow-throughs that prompted me to think some more about corpographies. I’d noted the connection between corpography and choreography in my original post, but David’s extraordinary collaboration with choreographer Rosie Kay and her dance company gives that a much sharper edge. Again, there’s a comparison to be drawn – this time with Owen Sheers‘s impressively researched and executed body of work, not only the astonishing Pink Mist but also The Two Worlds of Charlie F (2012), which was a stage play based on the experiences of wounded soldiers who also made up the majority of the cast (see my discussion of these two projects here). 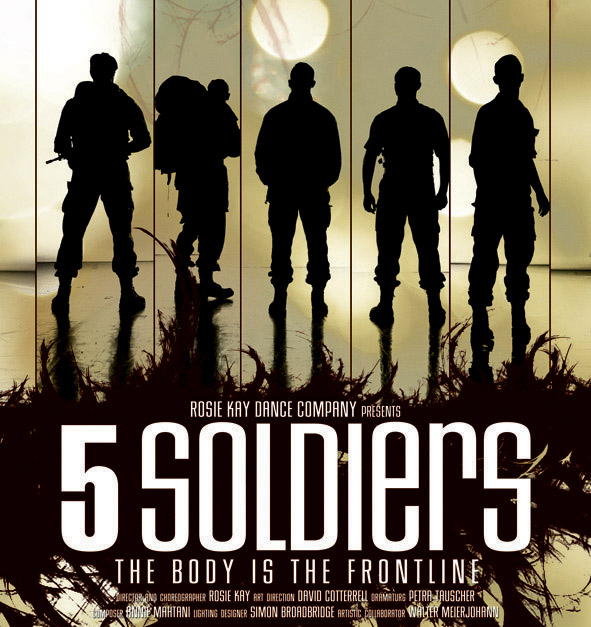 A dance theatre work with 5 dancers, it looks at how the human body is essential to, and used in, warfare. 5 SOLDIERS explores the physical training that prepares you for war, as well as the possible effects on the body, and the injury caused by warfare. 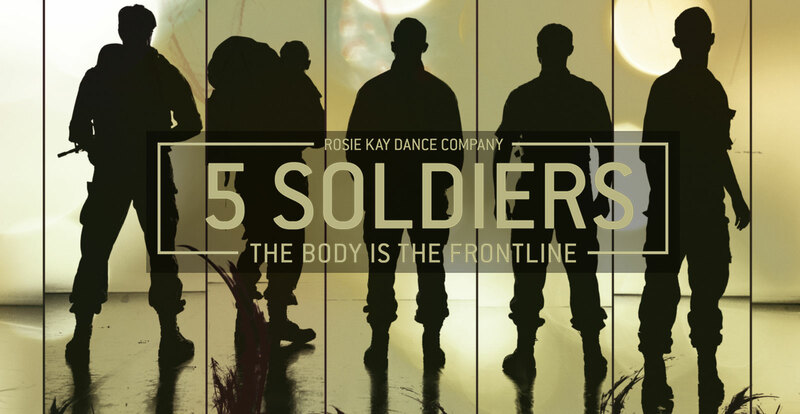 Featuring Kay’s trademark intense physicality and athleticism, 5 SOLDIERS weaves a journey of physical transformation, helping us understand how soldiers are made and how war affects them. 5 SOLDIERS is a unique collaboration between award-winning choreographer Rosie Kay, visual artist David Cotterrell and theatre director Walter Meierjohann. It follows an intense period of research, where Rosie learnt battle training with The 4th Battalion The Rifles and David spent time in Helmand Province with the Joint Forces Medical Group. (She is, not coincidentally, an affiliate of the School of Anthropology at Oxford). And now there’s a film version that works as a multi-screen installation (screen shot above). And look at the tag-line: ‘The body is the frontline’. It’s not only drones that make it so. I’m back from Europe at last, including a presentation of Angry Eyes at Hebbel am Ufer in Berlin. It was a sort of Berlin Wall Exchange, and I had a wonderful time; my interlocutor was Martin Gak, who raised a series of probing and thoughtful questions about drones and military violence to which I plan to return, and I had some exhilarating conversations extending over two nights about HAU’s three performance spaces and in particular its investment in documentary drama. Which brings me to Rimini Protokoll’s Situation Rooms playing at HAU 2 also as part of its Waffenlounge (‘Weapons Lounge’: its logo above uses a silhouette that must rank alongside the AK-47 as one of the most iconic – and in this case, of course, German – guns in the world; one of the aims of ‘Weapons Lounge’ is to drive home the point that, after the USA and Russia, Germany is the third largest arms exporter in the world). Here, incidentally, I recommend Keith Feldman‘s bravura reading in ‘Empire’s verticality: the Af/Pak frontier, visual culture and racialization from above‘ in Comparative American Studies 9 (4) (2011) 325-41; I’ll return to its relevance at the end. Situation Rooms gathers together from various continents 20 people whose biographies have been shaped by weapons in a film set that recreates the globalised world of pistols and rocket-propelled grenades, of assault rifles and drones, of rulers and refugees, becoming a parcours of unexpected neighbourhoods and intersections. One spectator sits at the desk of a manager for defence systems. At the same time, another follows the film of a Pakistani lawyer representing victims of American drone attacks in a cramped room with surveillance monitors. 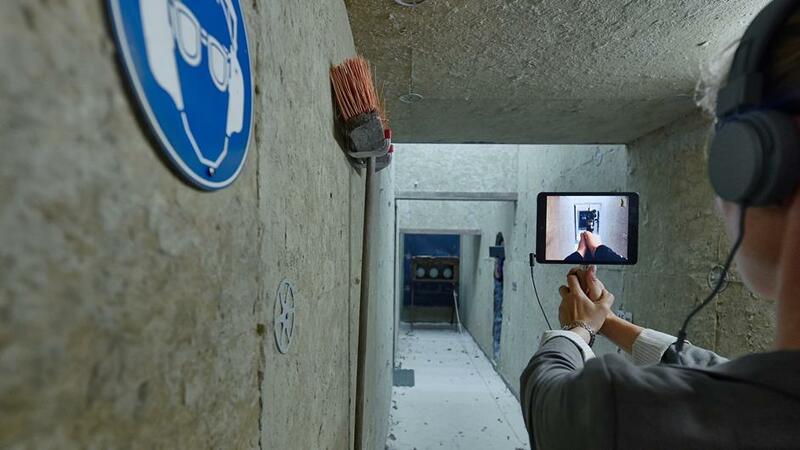 On her way there, she sees a third spectator who follows his film into the shooting range of a Berlin gun club, listening Germany’s parcours shooting champion. Around the corner stands another spectator in the role of a doctor carrying out amputations in Sierra Leone, while in the room next door a press photographer sorts pictures of German army missions in Afghanistan, only to stand in the shooting range himself a little later to do exactly what he was able to observe in passing just a while ago, thereby becoming a subject for observation himself. As some readers will recognise, there are all sorts of formal parallels (as well as the obvious disjunctures) with Gerry Pratt and Caleb Johnston‘s Nanay: a testimonial play – in staging, in evidentiary base – which was in fact performed at HAU in 2009 as well as in Vancouver and Manila. So the challenge for me, now, is to think about how I might stage the multiple situations that punctuate and animate the ‘incident’ in Afghanistan that I describe in Angry Eyes.… and, in particular, to incorporate the ‘situations’ of the Afghan victims who survived the attacks and who were treated in military hospitals for their awful injuries. 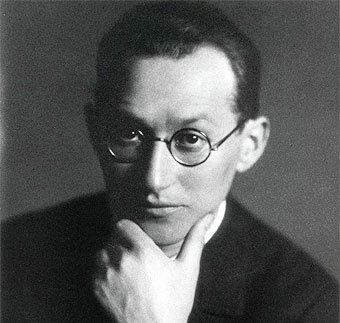 I’ve been tracing commentaries on Kurt Lewin‘s classic essay on what we might call the topological phenomenology of the battlefield, published in 1917 as ‘Kriegslandschaft‘ (‘landscape of war’ or, loosely, ‘warscape’), which was based on his experience on the Western Front in the First World War. I’ve been particularly interested in his account of the way in which an ordinary landscape is transformed by war. ‘Take an idealized image of the English countryside – I always think of the Cotswolds in this connection… You know exactly the sort of view it provides. A road, some hedgerowed lanes, a patchwork of fields, a couple of small villages… The eye sweeps over these benign and neutral features unquestioningly. I’ve discussed this passage before, but what interested Lewin was the way in which the landscape changed for the soldier as he approached the front, moving from a ‘landscape of peace’ to a ‘landscape of war’ – what he described as the production of a ‘directive landscape’. You can find an English translation here, but it’s behind a paywall I can’t scale: Art In Translation, 1 (2)( 2009) 199-209. (If anybody has a ladder, please let me know). This dissertation is concerned with the construction of ‘theatres of war’ in the target landscapes of 20th century military conflict in Europe and America. 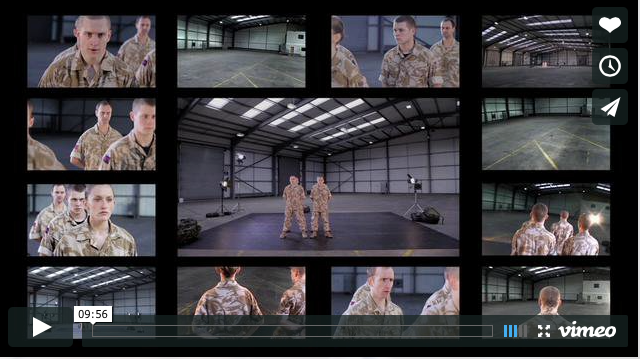 In this study of the scenography of war, I examine the notion of the staged landscape and the adoption of theatrical language and methodologies by the military. This is a multi-disciplinary perspective informed by a wide range of literature concerning perception, the aerial view, camouflage and the terrain model. It draws on much original material including declassified military documents and archival photographs. The emphasis is on the visualisation of landscape and the scenographic strategies used to create, visualise and rehearse narratives of disguise and exposure. Landscape representation was constructed through the study of aerial photographs and imaginative projection. The perceptual shifts in scale and stereoscopic effects created new optical and spatial ‘truths’. Central to this analysis is the place of the model as strategic spectacle, as stage for rehearsal and re-enactment through performance and play. 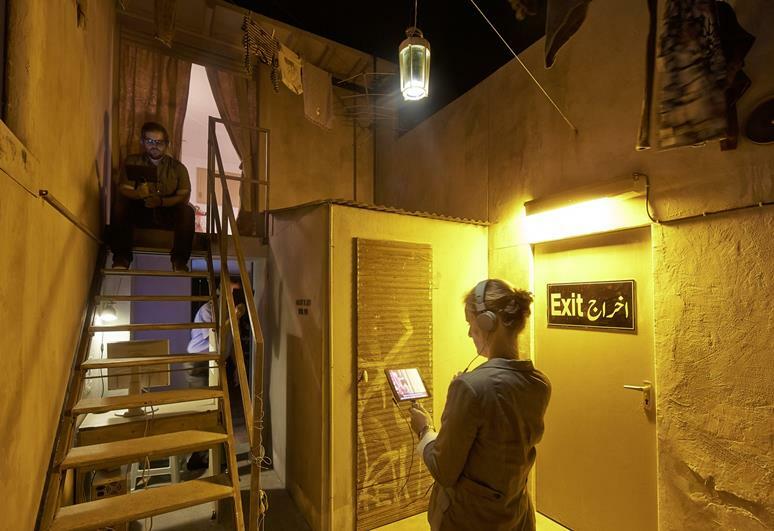 This research forms the context for an exploration of the extension and translation of similar scenographic strategies in contemporary visual art practice. Five case studies demonstrate how the artist as scenographer is representing the political and cultural landscape. This chapter identifies the scenographic strategies that produce the performance landscape for the rehearsal and re-enactment of the Theatre of War. The aim is to define what is meant by strategic scenography and to establish the basic theoretical foundations upon which to build my argument. This chapter focuses on the aerial view and the methodology of the stereoscope. This analysis of the relationship between scenography and topography from an aerial perspective expands on theories of aerial perception and stereoscopy. Drawing on the experiences of the reconnaissance pilots and photo interpreters during wartime, it attempts to understand the scopic conditions under which they visualised the landscape. This is a key chapter which looks at the work of Kurt Lewin’s important contribution to an understanding of the perception of landscape. 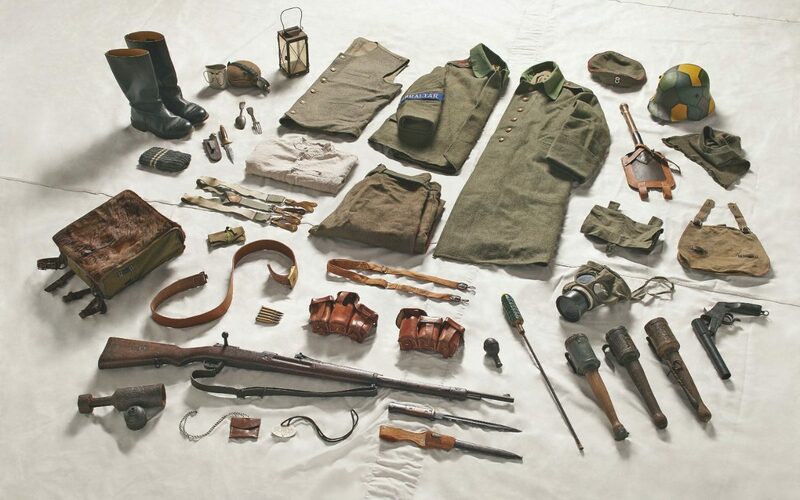 The second section deals specifically with the camouflage strategies adopted by the camoufleurs when staging their illusions in the First and Second World Wars. It provides a historical overview of the main camouflage strategies and then focus on particular scenic elements, e.g. scenery, lighting, props, sound, costume. This chapter begins with an examination of the methodologies of the map, model and games; the role of mimesis and performativity and the representation of the terrain. What follows is a consideration of the model as a strategic spectacle and its use to represent political ideologies, commercial and military interests and utopian visions. Within an historical context, it examines how the application of new technologies and scopic regimes has expanded the scenographic possibilities of the terrain model. This chapter is an exploration of the deployment of scenographic strategies in contemporary artistic practice. Through five case studies it examines how the artist as scenographer has adopted theatrical practices and the methodologies of the model, camera and film as means of representing the political and cultural landscape. Greer is currently a lecturer in Scenography at Royal Holloway, University of London and in BA and MA Spatial Design at Buckinghamshire New University. You can download her thesis here – it’s a feast of delights, with marvellous illustrations and a perceptive text. As you can see, Greer’s work focuses on the visual, and I’m equally interested in the role of the other senses in apprehending and navigating the battlefield – hence my continuing interest in corpography (see here and here). 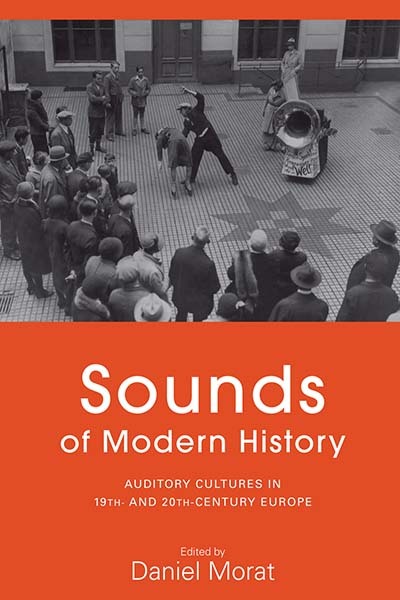 So I was also pleased to find a newly translated discussion of the soundscape of the Western Front: Axel Volmar, ‘”In storms of steel”: the soundscape of World War I’, in Daniel Marat (ed), Sounds of modern history: auditory cultures in 19th and 20th century Europe (Oxford: Berghahn, 2014) pp. 227-255; a surprising amount of the text can be accessed via Google Books, but you can also download the draft version via academia.edu. More on Axel’s work (and other downloads, in both German and English) here. ‘…new arrivals to the front had not only had to leave behind their home and daily life, but also the practices of perception and orientation to which they were accustomed. With entry into the danger zone of battle, the auditory perception of peacetime yields to a, in many respects, radicalized psychological experience—a shift that the Gestalt psychologist, Kurt Lewin, attempted to articulate with the term “warscape”: for the psychological subject, objects lost most of their peacetime characteristics during wartime because they were henceforth evaluated from a perspective of extreme pragmatism and exclusively in terms of their fitness for war…. ‘In place of day-to-day auditory perception, which tended to be passive and unconscious, active listening techniques came to the fore: practices of sound analysis, which might be described as an “auscultation” of the acoustic warscape—the method physicians use to listen to their patients by the help of a stethoscope. In these processes, the question was no longer how the noises as such were structured (i.e. what they sounded like), but rather what they meant, and what consequences they would bring with them for the listeners in the trenches. The training of the ear was based on radically increased attentiveness. 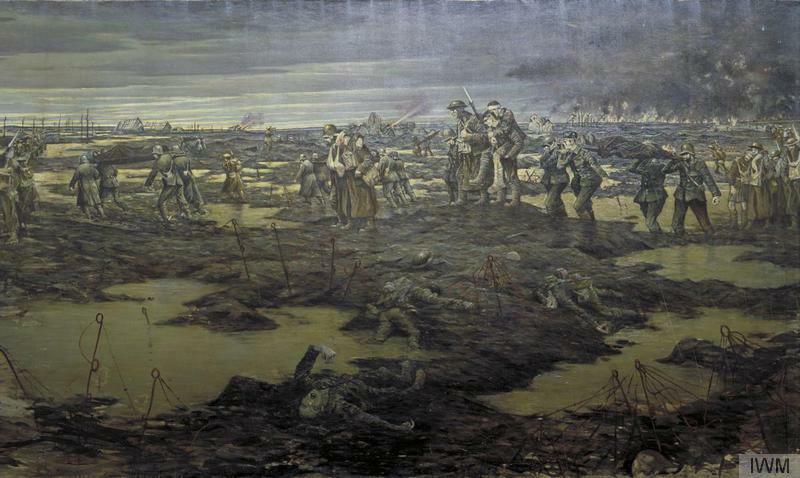 For more on sound analysis, see my discussion of sound-ranging on the Western Front here, and the discussion in ‘Gabriel’s Map’ (DOWNLOADS tab). The Center for the Study of the Drone is an interdisciplinary research and art community working to understand unmanned and autonomous vehicles. By bringing together research from diverse academic and artistic perspectives which have, up until now, remained fairly silent on the issue, we aim to encourage new creative thinking and, ultimately, inform the public debate. We want to encourage dialogue between the tech world and the non-tech world, and explore new vocabularies. This is an online space for people to follow the latest news, encounter disparate views, access good writing and art, find resources for research, and engage a diverse community of thinkers and practitioners with the shared goal of understanding the drone. 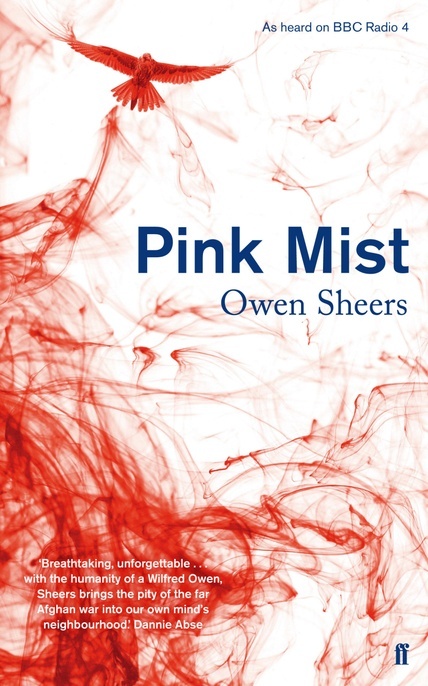 I’ve just finished reading – but certainly not thinking about – Owen Sheers‘ extraordinary dramatic poem, Pink Mist. It was originally commissioned by BBC Radio 4 for its More than Words Festival in 2012 but sadly it’s not available on the BBC iPlayer Radio – though you can now get it as a physical book and an e-book. I’ve spent much of the last several weeks reading poetry from the First and the Second World Wars, but few of those poems have affected me as much as Pink Mist. I noted Owen Sheers’ work in passing, when I was writing about Keith Douglas’s poems from the Western Desert, but Pink Mist is insistently about the present. but staying off the rides. So yeah, I want to go to war. But of course it’s not a fairground ride, and nobody is ‘playing war’ any more. I can still see his face, even now. to wipe at his eyes, raw with what we’d done. Where is the pain? – Dard cheri day? And the three friends do go home, one at a time, wrapped in the shadows of violence that now fall across the lives of a mother, wife and girl-friend. … that’s what you’re fighting for. The man on your left and the man on your right. Forget queen and country, the mission or belief. It’s more about keeping your mates alive. Or avenging the ones who’ve already died. But all Taff’s feeling is the threat. when the women and kids melted away. plugging in his headphones, turning the volume right up. Falklands, Gulf, Northern Ireland, Iraq. and there’s our history, under your feet. And Arthur? Read it for yourself. 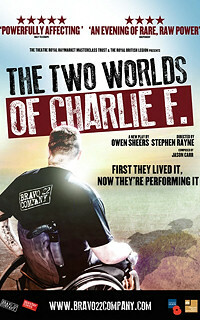 Those interviews were, in turn, part of Sheers’s research for The Two Worlds of Charlie F, a play not only about the Army’s wounded and injured from Afghanistan but also, and remarkably, largely performed by them. Sheers describes the project here (and see the clip above). 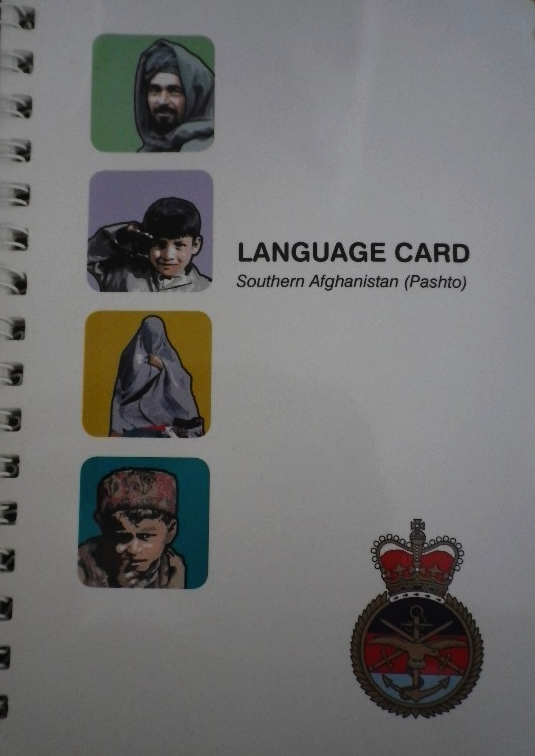 In Afghanistan 22 per cent of British service personnel have been injured – a higher proportion than in the Second World War – and to prepare for the play Sheers and his director travelled the UK: ‘We became well-acquainted with the names of certain drugs, types of prosthetics, military jargon. We visited barracks, PRUs (Personnel Recovery Units) and rehabilitation centres.’ And then they worked with the soldiers. There are plans for the production to tour again this year. I’m making so much of this for two reasons beyond the power of Sheers’s project. The first is that Sheers has much to teach us about transcending the limitations of conventional academic genres and incorporating the arts into the research process, not only as objects of contemplation and critique but also as ways of working. (Think how lifeless so many ethnographies and interviews become on the printed page). The second is that Pink Mist and The Two Worlds of Charlie F ought to confound the politics of care that assumes a concern with civilian casualities is the exclusive preserve of the left, while a concern for military casualties is the exclusive preserve of the right.